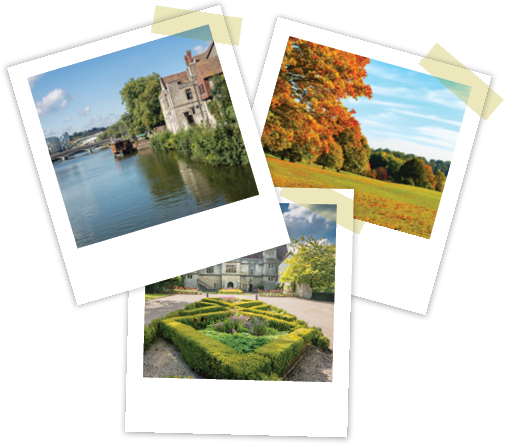 Maidstone is the ‘county town’ of Kent with a large modern shopping centre and a lively night time economy. The countryside isn’t far away though, and within striking distance of the town is all the rolling open space you need. Historic Leeds Castle, once a holiday home for Henry VIII and Anne Boleyn, is situated just outside Maidstone, and there are lots for families to do. Mote Park is a huge green space in the heart of Maidstone and includes natural features such as grassland, woodland, rivers and a 30 acre lake.